We have a limited supply this week of Nicaraguan dark roast by Steel Bridge Coffee. The coffee is sold in 10 oz. bags, whole bean. Although we can grind it for you if needed. 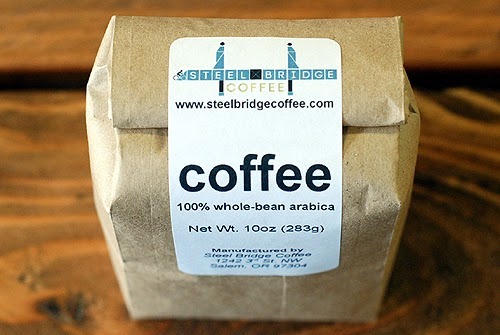 Steel Bridge roasts some of the best coffee in Salem. Be sure to pick up a bag if you haven't tried it yet!